What could be better than a case consisting of 1 layer? Right! A case that consists of 2 layers. The Tudia Merge Case Mint OnePlus 6 consists of both TPU and PC and therefore offers the perfect protection for your OnePlus 6. What is better than a case that consists of 1 layer? Right! A case that consists of 2 layers. The Tudia Merge Case Mint OnePlus 6 consists of both TPU and PC and therefore offers the perfect protection for your OnePlus 6. The successor of the Cygen case, the Lite case and the Melody cover. The Merge Case for the OnePlus 6 consists of 2 layers and is therefore extra strong. A TPU layer around the OnePlus 6 and a PC back for extra strength and protection. The inner layer that makes contact with your OnePlus 6 is from TPU. This is a material that is flexible, absorbs impact and is very durable. In addition, there is a second layer made of polycarbonate. This is the outer layer and gives the whole extra protection and more firmness. 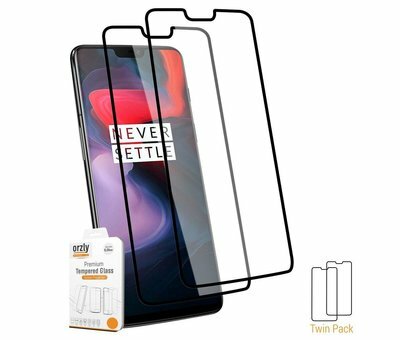 Cutouts have been made for all buttons and ports so that you can continue to use all functions in combination with this Tudia Merge Case Mint for the OnePlus 6. In addition, the case has, for both the display and the camera of the OnePlus 6, a raised edge what ensures that this, on whatever side you will put it down, everything neatly protected against scratches and bumps. Fijn hoesje. Beschermt goed en knopjes zijn prettig.